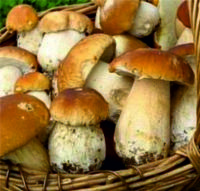 Your mushroom, fruits and lichen supplier! Consuming of fresh mushrooms is definitely the best way to receive the full potential of their nutrition as superfood. Unfortunately, they can't be supplied during the whole year. 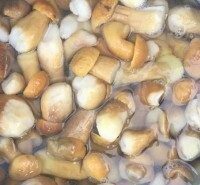 During the dehydration process the typical smell of the mushroom is keeped. Even it's more stronger than fresh mushrooms. Excellent choice to bring your gourmet meals a royal note. They are a lot of benefints from the frozen mushrooms. Almost constant price during the whole year. Almost whole year they are availble quantities. Years of expiration time. Storage under -18 degrees. Mushrooms in brine are easy for storage. It's not nesassery any temperature mode. Almost constant price during the whole year. Easy for deliver - it'can be send even only one europallet. The most healthy mushrooms. A huge benefits for your health. Unfortunately those benefits are not popular in Europe. 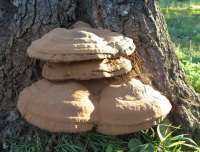 That's why the wooden mushrooms are exported mainly for Asia (Japan and China). Plastic bags or plastic jars for dried mushrooms. Glass jars or cans for preserved mushrooms. Luxury carton pack for frozen mushrooms. Plastic box or wooden crates for fresh mushrooms. Everything it's ready for the retail market! Lichens are half moss and algae. They have similar DNA as mushrooms. Huge usage in pharmaceutical and cosmetic industry. Fruits beneﬁt your body immensely as they are natural sources of vitamins and minerals, which are essential for proper functioning of the body. Rich in dietary ﬁber.